Random House Books for Young Readers, 9780525644125, 320pp. Sarah Scheerger is a clinical social worker who works in schools with at-risk kids, helping them figure out who they are and who they want to be. Sarah is the author of several picture books and YA novels. 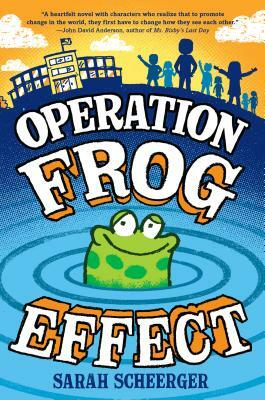 Operation Frog Effect is her middle-grade debut and was inspired by her own fourth-grade teacher. Sarah lives with her husband and their children in California. Visit her at sarahlynnbooks.com and on Twitter at @sarahscheerger.